I've recently returned from a few days in the British Overseas Territory of Gibraltar - a location considerably British (and proud)! I've covered a number of past trips to Gibraltar over the recent years and on this latest visit there have been a number of enhancements and improvement to the bus network there. Unchanged since last time is that Calypso Transport - the only private bus company in Gibraltar to operate full-size PCVs on stage-carriage services - has invested in a trio of MAN Lion's City single deckers, new to an operator in Germany. All feature air conditioning and dual doors and have been painted in a modified company livery of red and black, rather than red and white, which features on the other vehicles. 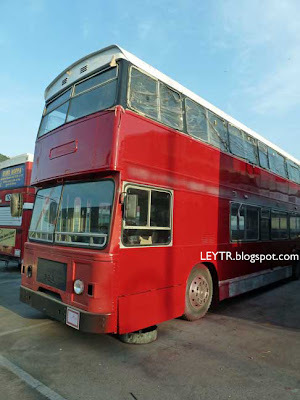 Also unchanged is the company's sole Leyland Atlantean with Willowbrook body, with its chassis constructed in Lancashire and its body at Loughborough and it was exported to Baghdad in 1981. It's been with Calypso in Gibraltar since the 1990s. Unlike my last visit last year, the bus now looks in good order; it's been repainted and its nasty offside lean has been corrected. It has also been fitted with front and rear digital destination displays - they're modest affairs, but not many British Atlanteans can boast this type of retrospective treatment. The digital blinds replace route number and destination vinyls stuck onto the front and rear rather crudely, so those who bemoan such 'advances' in technology can at least be assured a well set out front roller blind was not sacrificed. 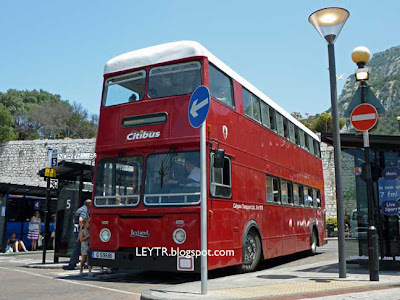 The Gibraltar Bus Company's eighteen TransBus Dart SLFs were also plying their trade along the streets of this historic city, as they've done since March 2004. They're soon to be replaced, though a decision by the Government of Gibraltar as to who will replace them has yet to be made. I understand this will be made in the coming months. The first new vehicles to arrive will do so nine months after the order is made. Despite the Mediterranean temperatures being in the low-to-mid-30s, the Darts have been a stalwart for Gibraltarians for the past decade. It has to be said, few operators would rate the Dart as coping well in very hot temperatures, lasting months at a time. Even fewer would purchase a batch where the terrain is narrow and very hilly. 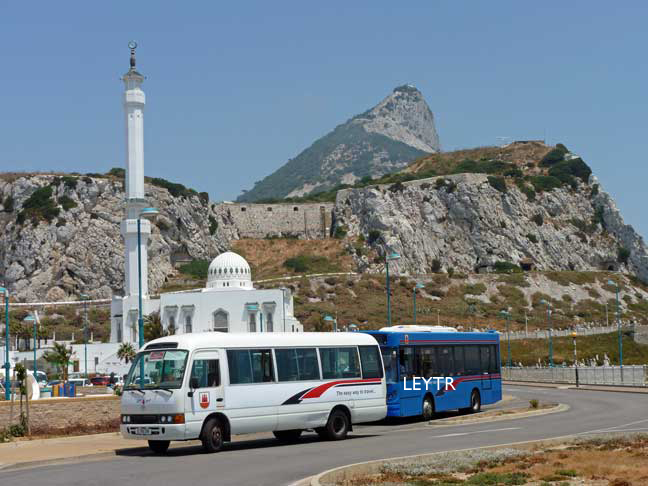 Their 8.8-metre chassis enable them to navigate most of the roads in Gibraltar with relative ease. They also perform well on the hills, with a full load and air conditioning blasting out in the high temperatures. I suspect they've had help 'adapting' to their home, where on a good day they can be seen from Africa. Does anyone know if other Dennis/TransBus/ADL Dart SLF have been made for European markets, or even further? ADL has improving exports to North America, Honk Kong and New Zealand, but I believe these are for double-deckers. My gut instinct is that this batch of 18 Darts are the only left-hand drive versions in operation anywhere. I'd be happy to be corrected, though. 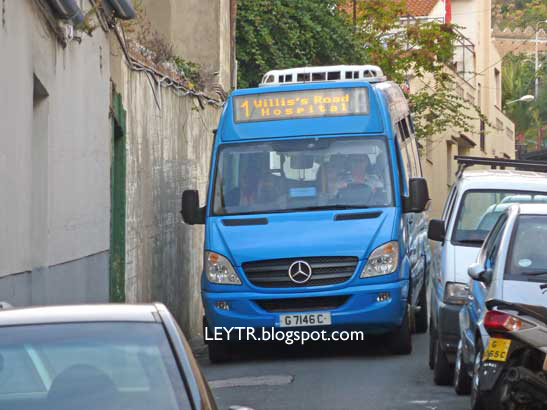 Far less rare 'on the Continent' are Mercedes-Benz Sprinters and the Gibraltar Bus Company has a trio in its arsenal, though two were off the road with long-standing mechanical problems. One had even been sent away to Spain to be looked at. It's a sad state of affairs, but the GBC has to hire a Spanish truck to load their vehicles onto the back of when sending them through Spain for mechanical attention. The Spanish Guardia Civil are all too keen to stop Gibraltar-registered vehicles 'away from home' and to go over the vehicle with a fine toothcomb. They do, however, seem to leave Spanish-registered flatbed trucks alone. Weird, that! Consequently, one of the two vehicles allocated to the Sprinter route (Service 1 to Moorish Castle Estate) was an 8-seater Toyota during my stay there this week - the Hiaces were the mainstay of the route until the Sprinters arrived two years ago. The Gibraltar Bus Company has acquired a Ford Transit that has been painted in fleet colours. 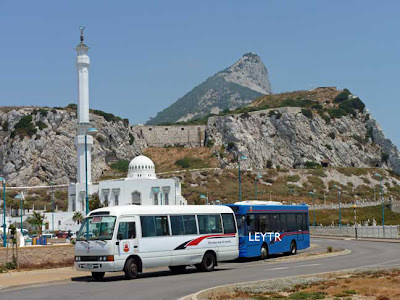 Its purpose is to operate a free shuttle service from Sandy Bay to Europa Point, though with a Hiace operating Service 1, it was operating the daytime circular Service 7, which normally uses the Toyota. Running the unadvertised Sandy Bay shuttle was another Toyota Hiace, this one in white with GBC stripes added. But perhaps the most unusual sighting in my time at Gibraltar was a Go London Central hybrid Optare Versa, with 27 seats and dual doors. Measuring 10m, it's far too long to negotiate some crucial routes along GBC's network, though the company is currently evaluating it. Optare is one of a number of manufacturers who have responded to the GBC's invitation to tender. 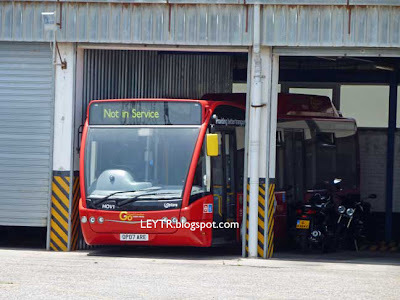 Initially, Optare invited GBC management over to the heart of the LEYTR area - Lincoln - where they wanted to show off the recently converted biomethane-diesel Solos operating with Stagecoach in Lincolnshire in a hilly environment. Luckily, those at GBC were aware that Lindum Hill in Lincoln is not quite the same as the terrain 'on the Rock' so turned down the request. HOV1 (OP07 ARE) was shipped over from Portsmouth to Santander and put on the back of a (Spanish!) truck and driven to Gibraltar, where it is in the process of being evaluated by the company and its staff. 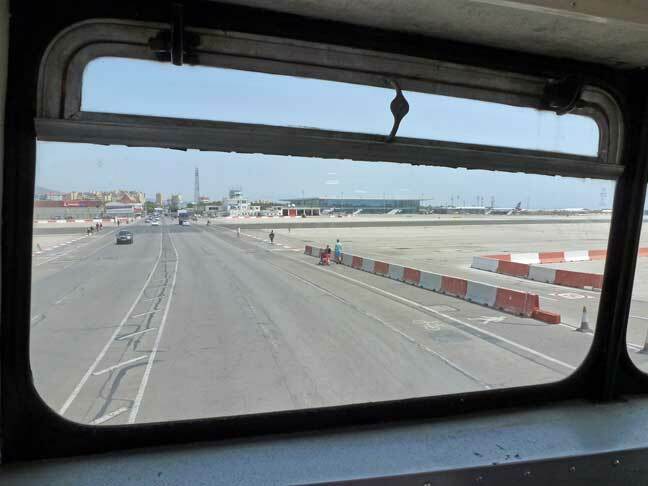 Although the bus has driver air conditioning, it does not have passenger air con and while staff from the government offices have filled the bus on a hill to replicate a likely full load, the amount of strain placed on the vehicle cannot be replicated exactly without it. That said, it must be quite an unusual sight for people to see in Gibraltar. The bus is being used ostensibly along the southbound route of Service 2 from the Market Place to Europa Point, making it feasible that a TfL-liveried London bus can be seen from Morocco. Northbound, the bus cannot follow the route of Service 2 owing to a particularly tight turn in the city centre where buses turn right from Main Street into Governor's Lane. The Darts seemingly inch through with their 8.8m bodies, though I've been assured by the GBC that a 9.4m chassis length would be navigable, but nothing longer. All in all, the stay was excellent, as ever, and nothing like the way in which Gibraltar is being portrayed in the Channel 5 documentary being aired at the moment. The C5 programme is in the warts-and-all vein, which grates on me sometimes. I know watching people in power mess up (be it police, paramedics or lifeguards) shows a human side that is sometimes lost in this type of show, it also airs far too much dirty linen in public - my visits to Gibraltar are superb for none of the reasons shown on C5. Well, apart from the weather perhaps. On our return, the entire city suffered a power cut, rendering virtually everything electrical out of action. I suspect this doesn't happen as infrequently as here in the UK as people were going about their business without concern (except for the visitors). The buses were very much still on the road and thankfully the airport was running on its back-up generators. The Levante was lingering around the top of the Rock and I was a little concerned we might have to be moved by coach to Malaga to join the plane there (the first departure of the day had to do just that), but thankfully British Airways' Airbus A320 arrived on time and we departed ahead of schedule. 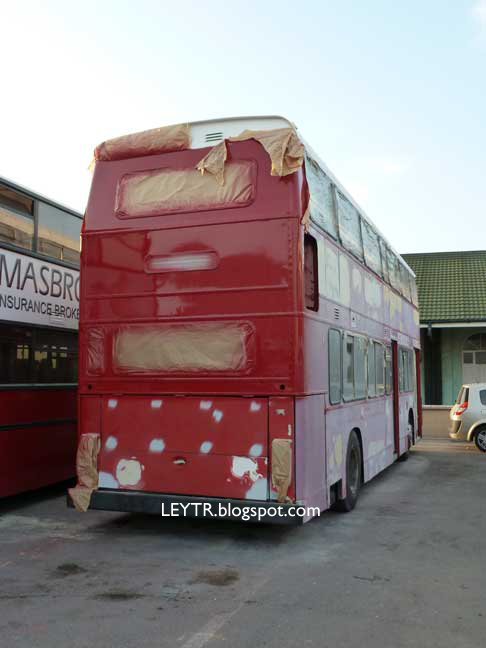 And finally, the long-term withdrawn Leyland Olympian operated by Calypso is in the process of returning to service. As can be seen below, the bus is having front and rear digital destination equipment installed and one day soon it will be back in service, operating Service 5 from the British War Memorial to the Spanish border via the Market Place bus terminal. There were at least 2 SLF Darts with Plaxton bodies for Reykjavik. This gentleman obviously knows his buses. A good report. @anonymous 1453 - many thanks for the information. Iceland is certainly nearer the Dennis factory than Gibraltar. I've also found something in New York which looked very much like a Dennis Dart SLF - but it wasn't. It was an American-built Blue Bird. 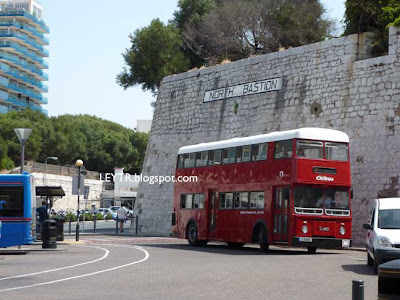 I'm dead jealous that you got the photograph the Atlantean on the road in Gibraltar! It was parked out of use when I visited the rock earlier this year. 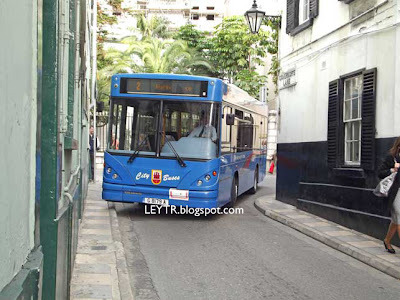 @Random Streets - I visited last October and it was in service on weekday afternoons. It looked pretty rough and had a worrying lean to the right. I did consider it would be the last time I'd see it. I, too, was impressed to see it out in main service. And that a fair amount of money has been spent on it. And that the Olympian is undergoing the same way. The Atlantean was being driven by the same driver every day I saw it. He was a complete misery though clearly appreciates his engines! Cheers for the update of more left-hand-drive Darts! 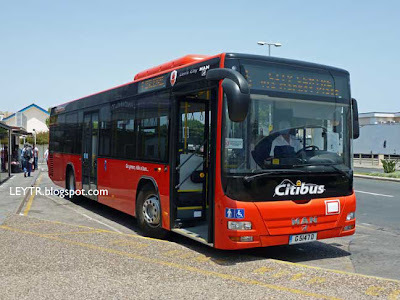 Dart SLFs have gone to numerous places including Hong Kong & Malta (as rhd), as well as Gibraltar in lhd as stated Canada & Iceland have had deliveries plus Spain & Netherlands at least (the Dutch had a few step-entrance with Berkhof bodies and a large batch of low-floor with ALX200 bodies to Arriva Netherlands) - The US had some designs based on the Dart SLF but they were built in the US under license (I think by Thomas). New Zealand has had Enviro 200s & Australia has had an Enviro 350H though I am not sure if Dart SLFs were ever exported to either place before. An attempt was made to export to South Africa and a demonstrator was sent there but I am not sure whether any orders came of it in the end (the demo eventually returned to the UK with Cavalier & the Stagecoach). In that case I will look forward to this change after 9 months. It was a nice read. I dont have anything else to offer. A year's LEYTR subscription costs £12 and covers all publications in a 12-month period. If you'd like to subscribe, click HERE. The Lincolnshire & East Yorkshire Transport Review (LEYTR) was founded in 1963 by Alan Tye and Peter White. 56 years later, we provide our members with one of the longest-running public transport journals in the UK. 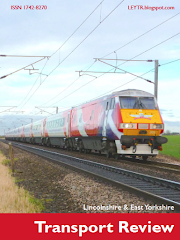 The LEYTR amasses the past two months' transport news in Lincolnshire and East Yorkshire into glossy, full-colour magazines, produced on alternate months. For our annual subscription fee of £12 we deliver 6 copies to your door, post-free. Members are welcome to provide information and to write articles, the subject of which can be anything at all to do with transport in the LEYTR, be it past or present. Members of the LEYTR can be assured that no duplication between the magazine and articles on this blog will take place. The LEYTR magazine continues to be the only way to be kept fully up-to-date with transport happenings in Lincolnshire and East Yorkshire. Want to join the LEYTR? Just £12 secures annual membership and new subscribers receive the current issue free with membership commencing with the following edition. Click here for more details. 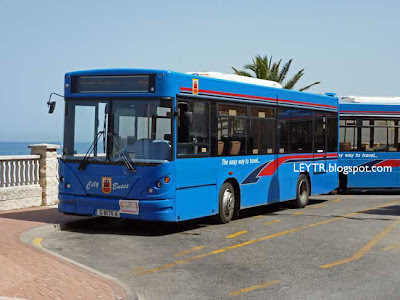 The LEYTR Jaunts is the Editors' accounts of their travels around the UK and Europe on public transport.